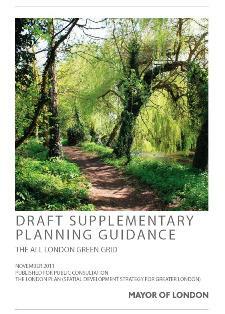 There is plenty of evidence to show that people feel better in green spaces. Trees can contribute to storm-water management, absorb traffic noise, provide shade which helps to reduce skin cancer, are the lungs of our Capital, and have calming elements on our cities. We would like to bring more of these benefits to our neighbourhood in northern Fitzrovia. Efforts are underway to green parts of Holcroft Court’s exterior which are quite barren when compared to what has been achieved in the inner courtyard of the building complex. Local residents now seek to complete their project by improving the outside of their building with new planters, trees and schrubs. 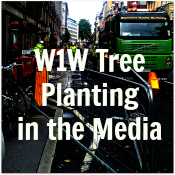 The W1W initiative aims to continue planting trees in East Marylebone and Fitzrovia. 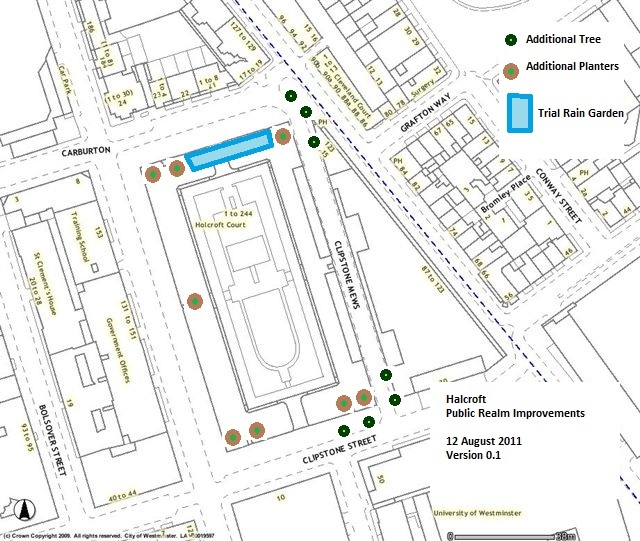 The areas around Holcroft Court, Fitzrovia Court and Howard House are also in line for improvement. 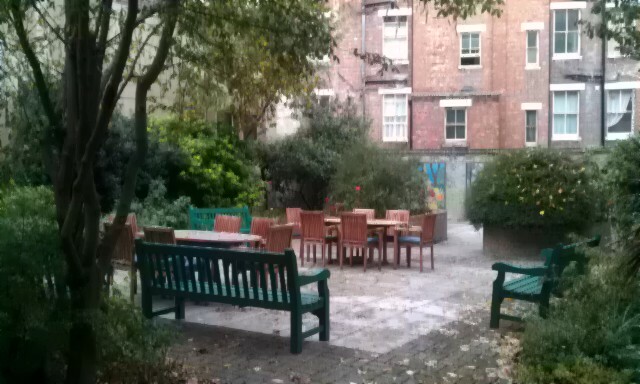 And, especially as Holcroft Court is set back from the road, it provides unique opportunity to create a green space that offers a healthier and more productive communal space. 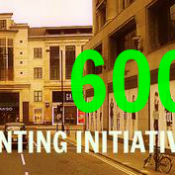 The effort to green the area streets has been supported by local residents in Holcroft Court, Fitzrovia Court and also Howard House for trees at the north end of Cleveland Street. In the past, trees were not really considered worthwhile. Now that opinion is changing. 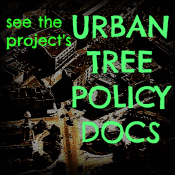 Trees increase the value of property by 5-15%, and a mature tree by as much as 27%. 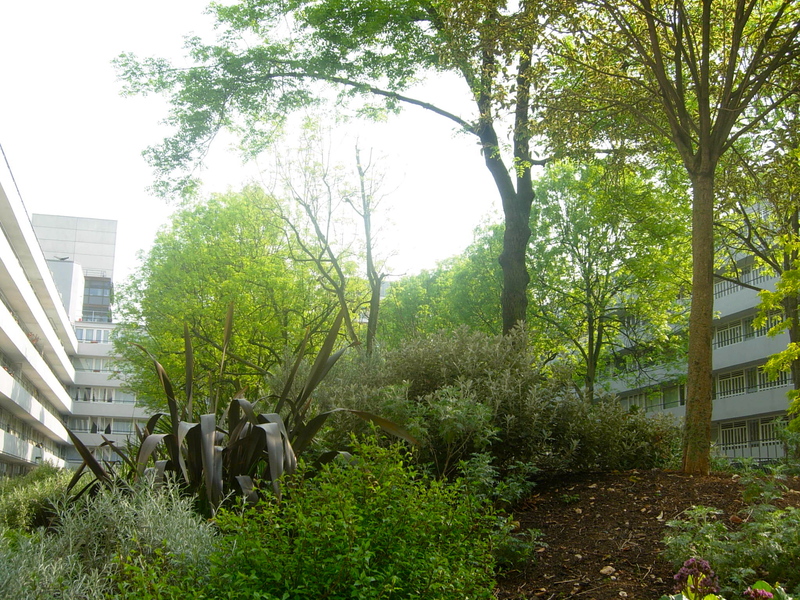 Whilst giving character and a sense of place, trees are also the high-rise guardians of the urban environment. Plus there is also evidence that trees help to lower stress and illness levels. All these hidden benefits will not only benefit the present generation, they ensure that we have fulfilled our obligation to future generations. 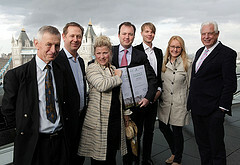 Trees were recently planted on neighbouring Bolsover Street with the help of Alan Titchmarsh in Spring 2011. Hopefully this success will allow us to plant trees other area streets. Survey work is ongoing to find suitable places for trees on Clipstone Street, Clipstone Mews, Carburton Street and Cleveland Street. To support efforts to green our neighbourhood or if you need more information on this local project please contact [[details]] . If you’d like to donate money towards planting a tree on our streets, just click below to download a donation form. All contributions, large or small will help us achieve our goal. 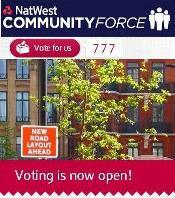 This entry was posted in BOLSOVER STREET, CLEVELAND STREET & CARBURTON STREET, CLIPSTONE STREET & CLIPSTONE MEWS, Fitzrovia, GREAT TITCHFIELD STREET, GREENWELL STREET and tagged all souls, Bolsover Street, Carburton street, cleveland street, clipstone mews, clipstone street, east marylebone, fitzrovia, Fitzrovia court, greening, holcroft court, howard house, london, planters, schrubs, trees, Urban Forest, westminster. Bookmark the permalink.